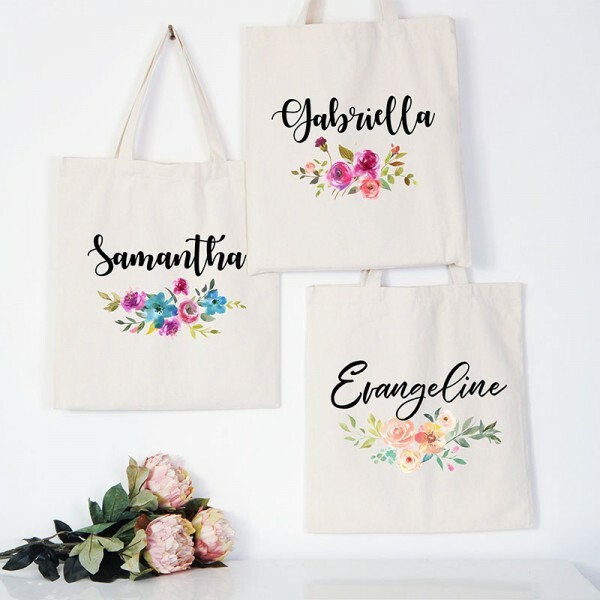 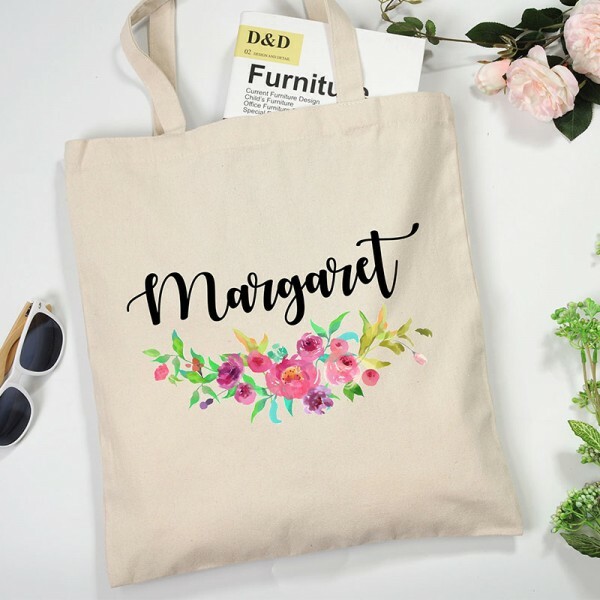 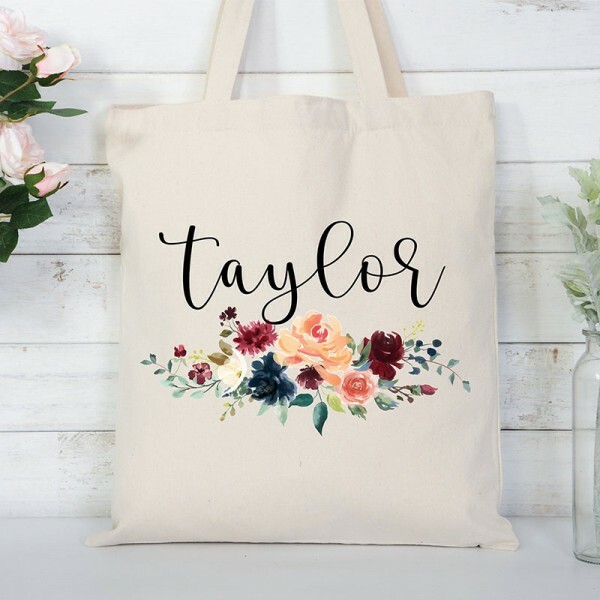 An adorable gift for your bridesmaids in your bachelorette party or bridal shower, this tote bag will definitely win your sweets’ hearts. 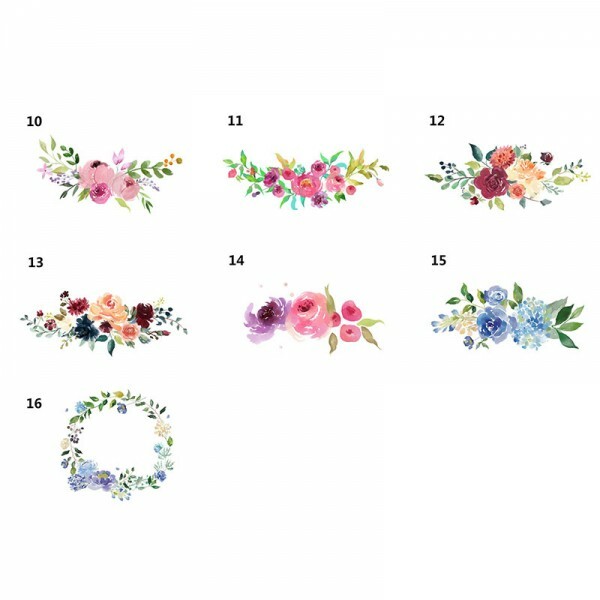 • Measures 14.8’’ x 13’’ (375mm X 335 mm). 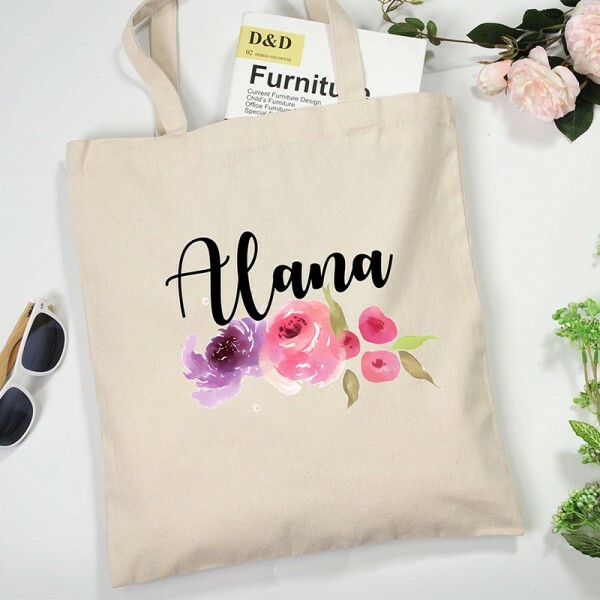 • Crafted of cotton canvas. 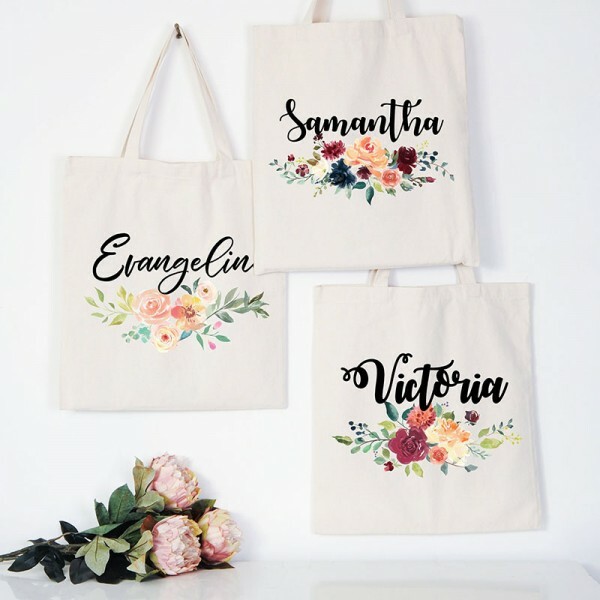 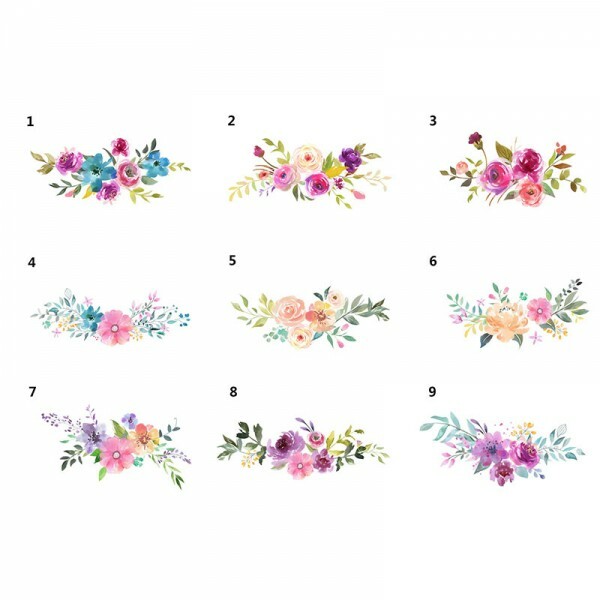 • 16 flowers designs and fonts available. 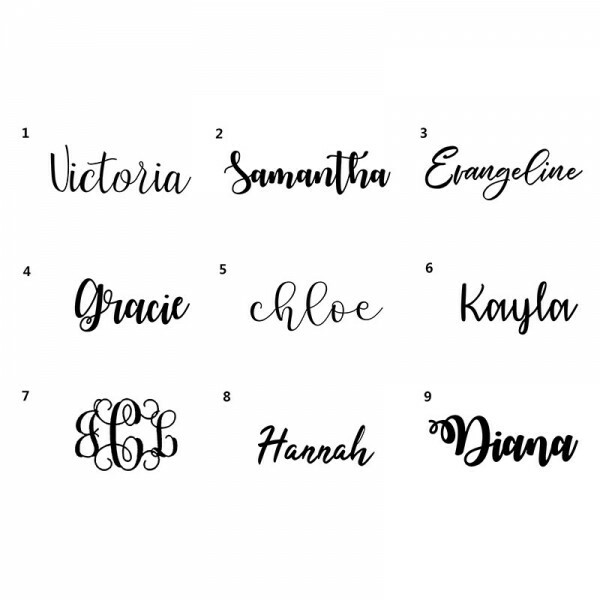 • Note us the engraving in the Personalization box. 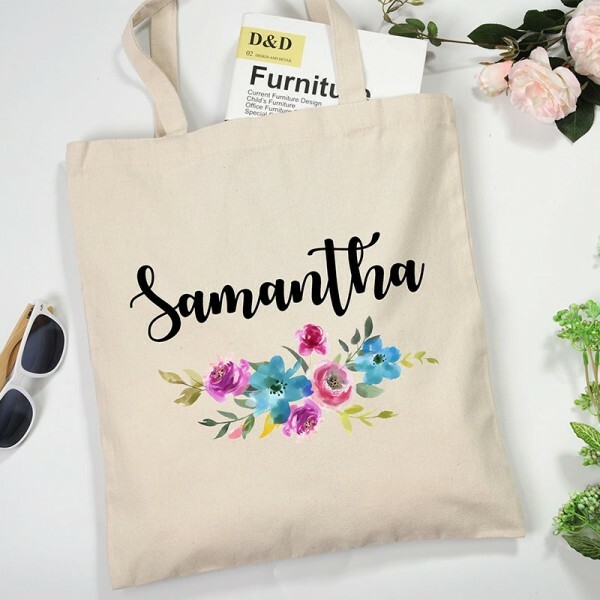 Question about Handmade Tote Bag is Successfully Submitted.